The Australian Fisheries management Authority manages and monitors commercial Commonwealth fishing to ensure Australian fish stocks and our fishing industry are viable now and in the future. By doing so, AMFA aims to ensure that healthy and fresh local seafood is available and affordable to all Australians for current and future generations. AMSA has key statutory responsibilities for maritime activities including vessel and seafarer safety, navigation services, search and rescue, marine environmental response and international engagement and regional capacity building. The Australian Transport Safety Bureau (ATSB) is Australia’s national transport safety investigator. The ATSB’s function is to improve safety and public confidence in the aviation, marine and rail modes of transport. ​​​​The Australian Government Department of Agriculture develops and implements policies and programmes to ensure Australia’s agricultural, fisheries, food and fore​stry industries remain competitive, profitable and sustainable. We have over 4000 staff working in offices, airports, mail centres, shipping ports, laboratories and abattoirs; located in regional ​centres, rural communities and capital cities. The Department of the Environment designs and implements the Australian Government’s policies and programs to protect and conserve the environment, water and heritage and promote climate action. The FRDC is a co-funded partnership between the Australian Government and the fishing industry. It was formed as a statutory corporation under the provisions of the Primary Industries Research and Development Act 1989 and is responsible to the Minister for Agriculture. The FRDC’s role is to plan and invest in fisheries research, development and extension (RD&E) activities in Australia. As Parliamentary Secretary to the Federal Minister for Agriculture, Senator Ruston has primary responsibility for Australia’s Commonwealth fisheries. 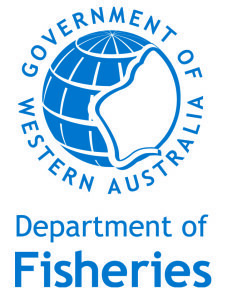 Western Australia’s Department of Fisheries’ primary responsibility is to conserve, develop and manage the fish and aquatic resources of WA to ensure there are ‘fish for the future’. The department does this through managing and licensing commercial and recreational fishing activities and protecting the aquatic environment and ecosystems on which fish depend. The Department of Transport focuses on operational transport functions and strategic transport planning and policy across the range of public and commercial transport systems that service Western Australia. With more than 1000 employees, DoT has the expertise to deliver and connect a complex, inter-related economic and social network. The Hon. Joe Francis is currently Western Australia’s Minister for Fisheries. Information about Mr Francis’s recent activities as the Minister responsible for WA’s fisheries can be found by visiting this link. Worksafe WA is a division of the Western Australian Department of Commerce and deals with matters relating to occupational health and safety in the workplace.